After 51 years in the pharmaceutical profession, Warren Flaunty – whose name is synonymous with local community – is hanging up his white coat. Warren opened his Massey pharmacy the day he qualified as a chemist in 1967, and over the years opened a new pharmacy on Don Buck Road as well as operating at the Westgate Pharmacy. Warren has served in local body politics for 41 years. 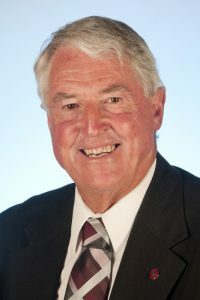 His various roles have included being a member of the Waitemata District Health Board, the Henderson-Massey Local Board, the Rodney Local Board, the Upper Harbour Local Board, the Taupaki Residents and Ratepayers Association, the Massey Birdwood Settlers Association and the West Auckland Hospice Board, as well as chairman of the Waitakere Licensing Trust and past chairman and life member of the New Zealand Licensing Trust. He was named runner-up in the Royal Pharmaceutical Society awards for his role in introducing the Graseby pump to New Zealand, a device instrumental in administering pain relief to terminally ill people. In 2002 he was awarded the Queen’s Service Medal for services to the community. Although Warren is stepping down from dispensary work, he plans to remain involved in local boards, ratepayer groups and health-related projects. Add to that his interest in bowls and horse racing, the family’s cattle farm and travel plans, and it is clear that his days will continue to be just as busy as ever.